AiPT! Comics podcast episode 4: Bestselling comics, new X-Men, & herding cats – AiPT! Talking the best comics out January 16, 2019, the latest news, and more! Welcome back to the official AiPT! 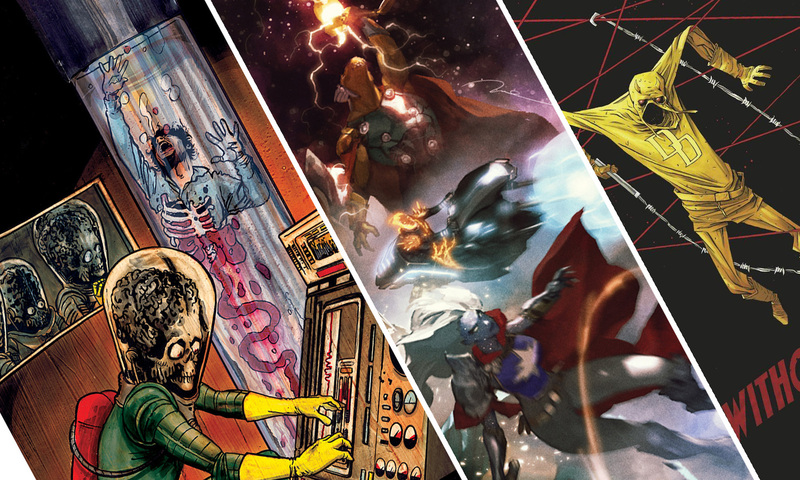 Comics podcast where your hosts David Brooke, Connor Christiansen, and Forrest Hollingsworth discuss their favorite comics of last week, news, their most anticipated books out next week. Episode 4 delves into our favorite books out January 16, 2019, we discuss Diamond’s 2018 comic book bestsellers, discuss our favorite books and comic covers out January 23rd, 2019, and dig into a battle for the ages: Scarecrow vs. Quicksilver at herding cats. Who ya got?! We also discuss Kieron Gillen leaving Star Wars and Rob Liefeld’s new Major X comic which will introduce a new X-men character. Also, check out our favorite covers for comics out January 23, 2019, which we discuss at the 48-minute mark.